Experience the excitement of Las Vegas wherever you are thanks to the brand new Vegazino Casino which is packed full of mobile games. Members of the casino can enjoy games from developers such as Microgaming, Net Entertainment, Novomatic and NYX Interactive. Of course you can enjoy all the Las Vegas classics such as blackjack, roulette, baccarat and video poker. In addition you can also enjoy hundreds of excellent slots built on a huge variety of themes complete with progressive games, classic slots and video slots. 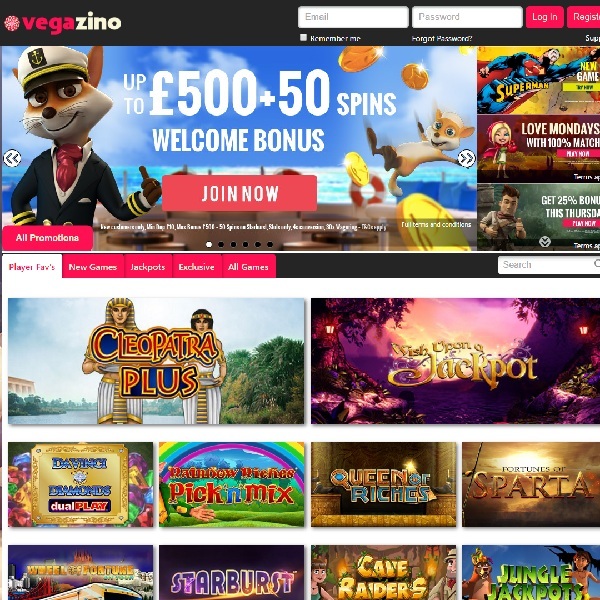 New members of Vegazino Casino are given a 200% first deposit bonus of up to £50 with 50 free spins. There is a 100% second deposit bonus of up to £200 and a 50% third deposit bonus of up to £250. The casino is licensed in Gibraltar and the United Kingdom.